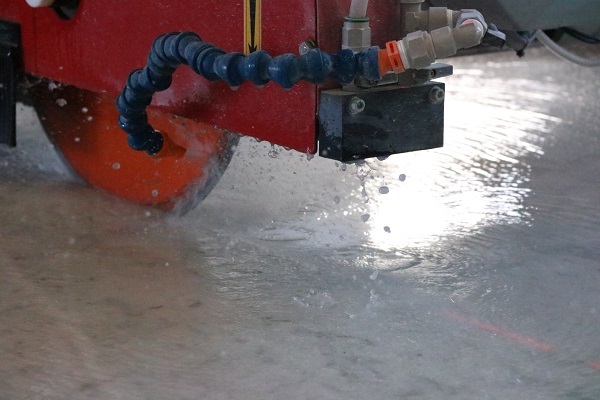 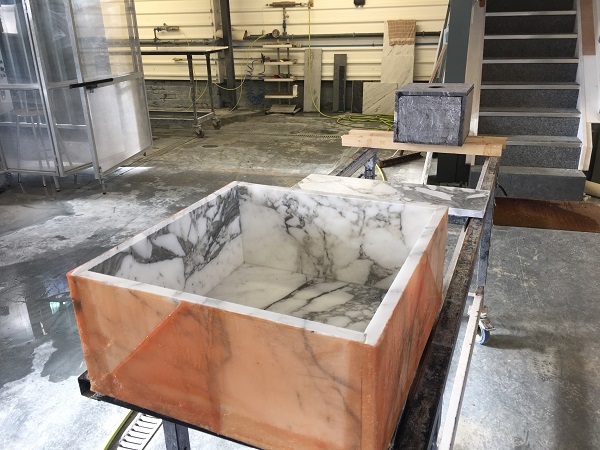 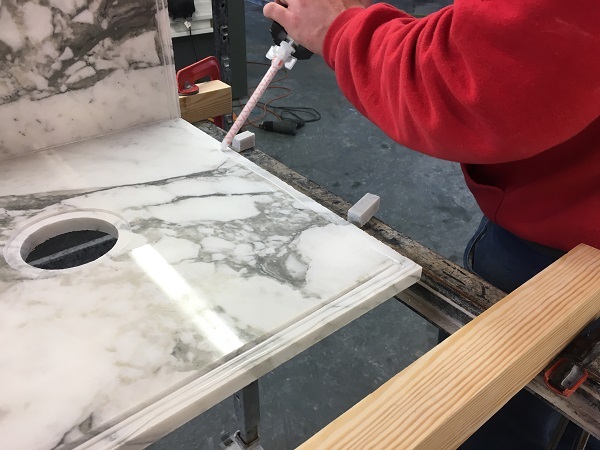 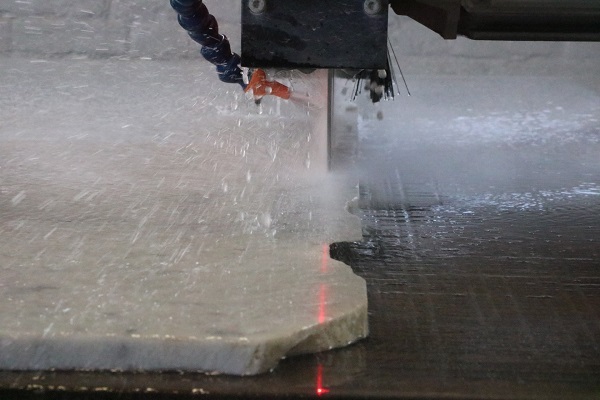 In this post we take you through the process of creating a marble sink, and installing it within a large island worktop for a kitchen. 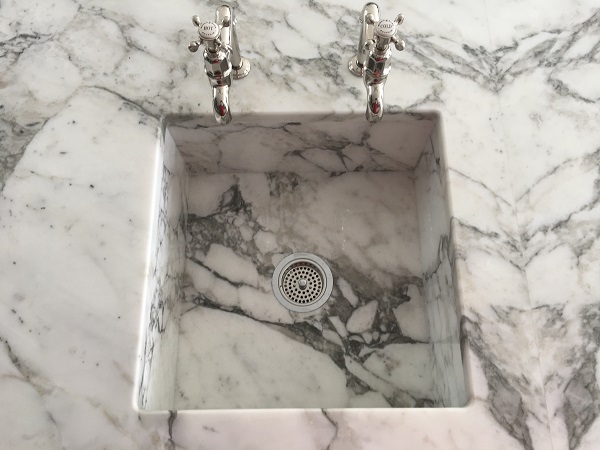 This particular marble is called Arabascato Vagli, from the home of marble in Italy and has very characterful veining running through the stone. 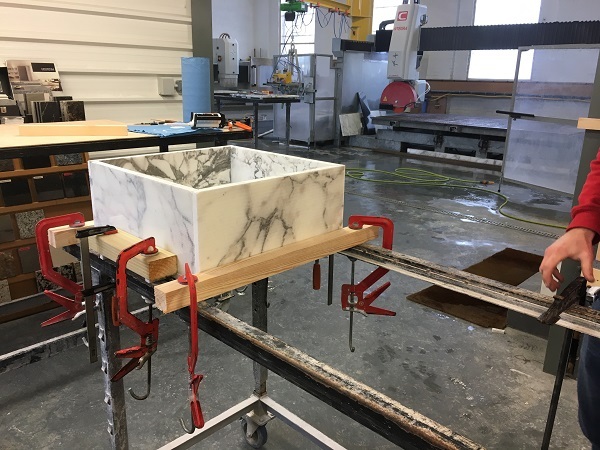 After the fabrication is complete we can glue all the pieces together using a specialist stone adhesive. 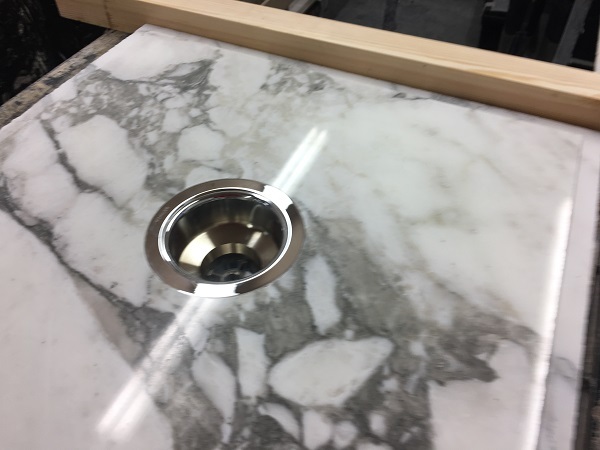 Once the marble sink is dry we can make it more water tight using fibreglass, which we wrap fully around the sink. 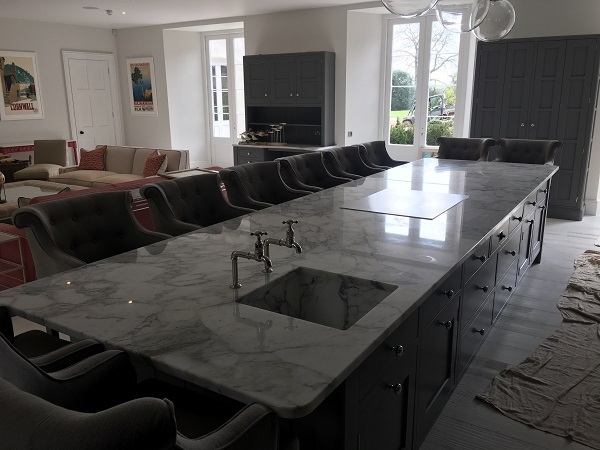 Now we can go to site and install the sink and large island worktop. 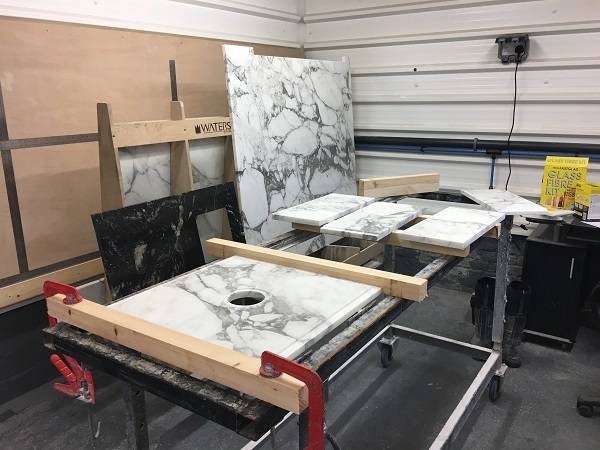 Now I must stress that marble is not a common type of stone to use in a kitchen as a worktop. 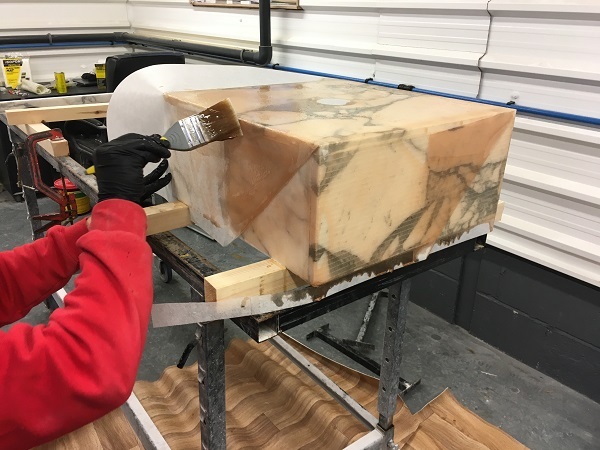 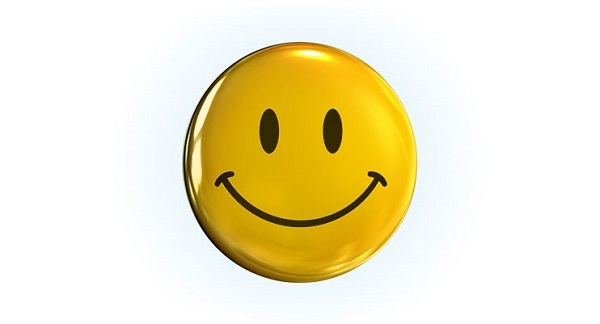 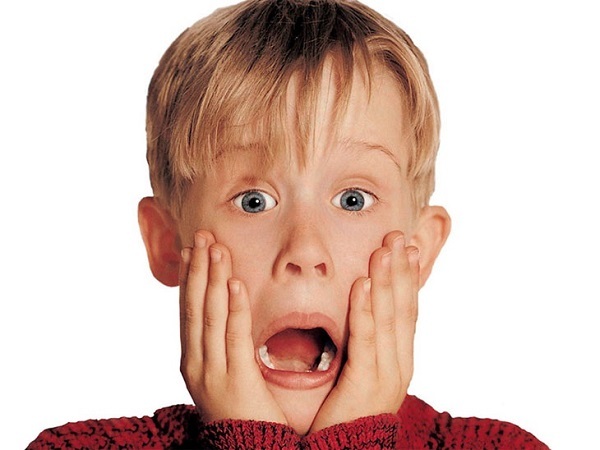 Marble is much softer than granite or quartz so scratching occurs much more easily. 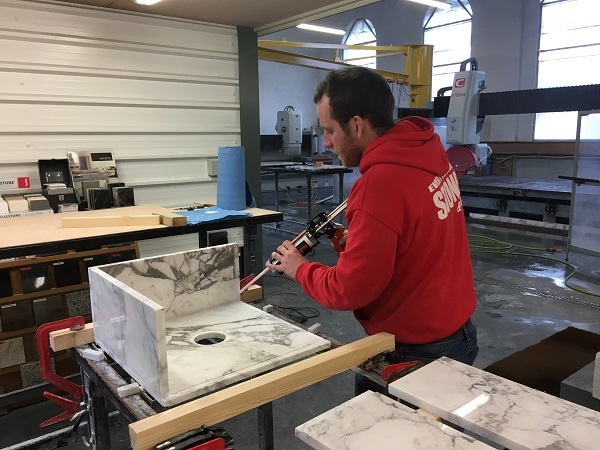 So generally we always advise customers to go for a marble looking quartz or sintered stone if they like vein running through the stone. 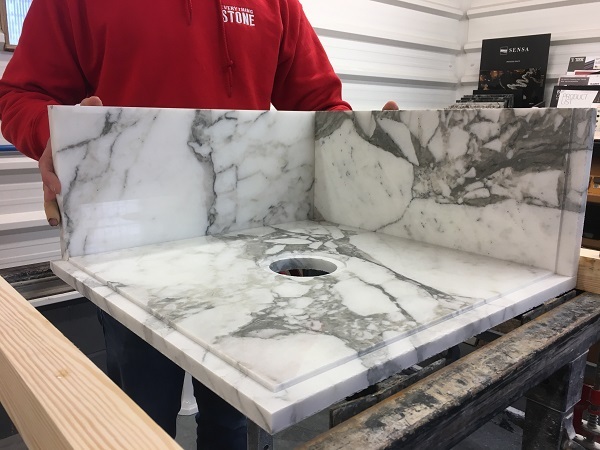 Having said all that, we have supplied quite a few marble worktops for kitchens.